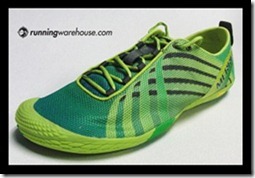 The Running Warehouse blog just released some photos and details regarding a new zero-drop shoe coming in February 2013 from Saucony. The Saucony Virrata joins the Saucony Hattori as the second zero-drop shoe in the Saucony stable, and this one looks more like a traditional training shoe. In fact, it looks quite a lot like a zero drop version of the Saucony Kinvara, which makes me quite happy since the Kinvara is a personal favorite. 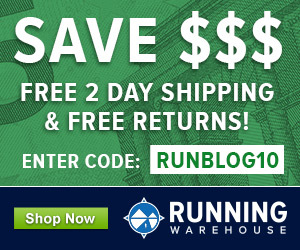 For more information, view the Saucony Virrata preview post on the Running Warehouse blog. Would love to try a pair sooner – what a tease! Saucony Kinvara Trail coming this summer, not sure if there is a trail Virrata in the works. Have seen a proto of the trail Hattori. Great news! Even though I do not like Saucony’s cushioning it’s great to see some movement in the zero-drop & cushioned segment. The competitors will react and there is more choice for us customers. Just wonder if the Virrata will wear as quickly on the lateral side of the outsole as the Kinvara. this looks like the shoe of my dreams! I can’t wait to try this and I just hope the toe box isn’t too restrictive. So far the Hattoris and neo trails are working for me. I especially like the roomy toe box on the neo trails. Will it be available in widths though? I’d say that at least for me, that 4mm makes a big difference. After running in 0 drop for 1.5 years, I can’t handle any heel at all. It just feels wrong, and I feel unstable on my feet. I’m with Pete, 4mm is a big deal and there’s a desire for this kind of shoe out there. Interesting, thanks guys. I’m not just being a jerk or something for the heck of it — I find this stuff interesting, and I’m just having a hard time imagining that 4mm making such a huge difference, especially when we’re talking about a shoe sole made out of foam to start with. But like I said, I don’t have the massive amount of experience with the stuff you do. No problem. The thing to think about is not so much the difference that 4mm has in terms of the shoe sole, but how that 4mm difference applied to the working range of the calf muscle and Achilles tendon. It’s not as big a deal for me now, but when I first started out with more minimal shoe running zero drop did a number on my calves whereas a 4mm raise was all it took to avoid the soreness. Small differences can be greatly magnified when applied to our body tissues, especially since the working elements of our muscles are microscopic. I still am not sure I would try running a marathon in a zero drop shoe. That’s interesting as well — I was planning on getting zero drop (but padded, unlike my vivobarefoots) shoes for my next pair, and was figuring 4mm to 0mm is a pretty small difference, the transition shouldn’t be a big deal. I may have to rethink that. I’m in the process of transitioning. 4mm is huge and I found out the hard way. I really suggest if you are moving from a traditional 12mm drop shoe start with the 4mm shoe. I’d say it’s easier to go zero drop with cushion than into something with very little cushion like a Vivobarefoot, but caution is warranted either way. If you’re coming down to a lower drop shoe from the 12mm the 4mm vs zero drop would make a huge difference…but if you’ve transitioned to running in zero drop for years or many months then going back up to a 4mm drop is killer. And I do mean that. On Pete Larson’s advice, (after running in my Hattoris for a few halfs and many long runs) I needed something with a little more underfoot, but that didn’t mean a freakin high heel…so I tried the Altra Instincts with the lovely wide toe box, and they are my new favorite shoe. I’ve ordered myself a second pair, and a pair for my non runner husband who has massive bunions from wearing tight soccer shoes for many years. I don’t like the fact that I have to order the Altras from another country, deal with shipping costs and duty etc. and can’t try them on and recommend them to people. I wish mainstream running companies like Saucony would get their act together and design a freaking shoe that is fit for the human foot like the Altras. As a note, I’m a size 10 womens shoe size typically. My foot length is 10-1/4 inches and I ordered a size 9 mens Altra (Instinct). They fit great and accommodate the large wool sock I’ll have to wear in them for winter running. I ordered a size 8.5 Altra for summer running with thin or no socks. The supposed wider heel in the mens Instinct doesn’t have any ill fitting effects for me. Longest run so far in them was 14k, but there will be many more longer ones, and so far they are… well, just PERFECT! Awesome, glad the Altras are working well for you! Never been into Saucony until the kinvara2, but now that they have my attention they are trying there best to keep it. Between the kinvara 3, kinvara trail, new hattori I have a shopping list spanning many paychecks. This isn’t even beginning to factor any of new balances upcoming offerings. The rest of the shoe industry can stay on the imaginary high horse of denial at this point. Just a personal remark but a chief complaint I would make about the Kinvara and Hattori is the lack of durability due to lack of any blown rubber. The shoes may be light but end up demolished quickly with any consistent mileage schedule. I got about <300km on my Hattoris before they were chewed up, compared to >800km on my NB MR10s.I have seen numerous Kinvaras wear out both quickly and deform unevenly due to this too. I like that they will have a zero drop option but suggest offering some protection at the areas of higher abrasion along the midfoot’s lateral border.Just my take. That being said, I look forward trying them out, haha. I’m not sure I understand why they don’t put rubber in that area. Abrasion will vary from person to person (e.g., I don’t wear that area much at all), but it seems common enough to think they’d want to take care of it. I do agree that individuals will wear different areas of course but in a shoe like this it’s highly likely (with a midfoot technique- which Saucony will be targeting shoe for, right?) to be from the distal lateral heel up to the lateral base of the 4th and 5th metatarsals. The routine Kinvara I have seen is crushed in these areas prematurely (I think) especially with the average weight runner. The postero-lateral border of the heel is generally in ok shape for those still overstriding! What about those making the effort to run foot under knee? I think the issue is mainly friction generated due to relative movement between the shoe and ground surface on landing. I do see midsole compression in my Kinvaras, but the actual wearing down of the midsole due to abrasion is pretty minimal along the outer margin. One thing I’ve noticed in my high speed videos is that there is a ton of variation in foot movement at contact among runners – lots of people kind of plow forward a bit into the ground, which I think is the major cause of lateral abrasion. Very few people running barefoot do this as avoidance of abrasion is critical to saving the plantar skin. 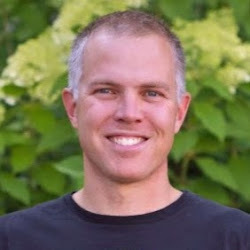 I think it’s one of the often overlooked aspects of how barefoot running promotes form change – it’s not just impact, but also avoidance of friction. Excellent points and I should have been more clear to indicate wear is eithe abrasion or compression. You are absolutely right that runners don’t tend to ‘get away’ with much going completely barefoot- friction (or scuff running as I call it), overstrinding, heavy striking. You can’t cheat barefoot. Ah, gotcha now. Yeah, my original Kinvaras had compressed and flattened quite a bit after 200+ miles even though there was little abrasion. Then the upper ripped when I lent them to a friend so they were retired. It’s definitely not the most durable of shoes. Ah yes, well I am thrilled the upper of the Kinvaras continually improve! Now just for the midsole/outsole. By the way- on page 70 of Tread Lightly. Hats off and more on a fantastic compilation of information, studies and education on everything running. This is a great, great book! Thanks Neil, I appreciate it! Never owned Saucony shoes before. Kind of wanted the Kinvara for extreme long distance back in the day before I was so accustomed to VFFs and other minimalist shoes. These could be appealing if the toe box is nice and wide like the NB Minimus or the Merrell Barefoot. The toebox seems too narrow. I prefer Altra Instinct. The upcoming Brooks Pure Drift has a wider toebox than the Virrata. will it have that annoying lump under the arch that the Kinvara has? No idea what the interior is like. I have this issue too. And not just from the Kinvara. Most Saucony shoes, the Brooks Pure series, Inov8s, Nike, etc. It’s hard finding a shoe with a low/heel differential without an intruding arch support. I think manufacturers are mostly catering to the normal arch, neutral gate type of runners when it comes to minimalist shoes. Altras are a good option for a shoe without arch support. If you cut the arch part out of the insole it changes the feel of the kinvara entirely. Love the Kinvara and this looks like a logical next step for anyone looking for a flatter, lighter shoe that can handle daily mileage. My only complaint about the Kinvava, and this Virrata appears to have the same issue, is the toe box is too tight. Those looking for a flatter, lighter shoe often appreciate a wider, roomier toe box as well. It’s more natural. Kinvara 3s are better in this aspect, but not great. I hope they address this with the Virrata and future Kinvaras. That said, I can’t wait till Feb.
Agree with you, and it´d be nice if the outer sole wasnt so high. What about 9mm or 12mm that woul be nicer. It’s a little hard to tell from the angle of that pic of the out sole – it’s the MEDIAL side of the forefoot that has extra green rubber, right? Like the Hattori? If so, I wonder if the Virrata is designed to be as versatile as the Kinvaras. I haven’t tried the Hattori, so I can’t say for sure, but I thought it made more sense to have some extra rubber on the Lateral side of the forefoot (like the K3s). I like the Kinvara shoes and appreciate the direction Saucony has been heading. I just wish they would do something to increase the forefoot width. I don’t have an overly wide forefoot but find Saucony shoes to be a bit on the narrow side. Do you think this is a cosmetic decision, performance-based, or due to anatomy (i.e. average width of runner’s forefoot)? Thank you for the blog. Every manufacturer has a particular set of lasts that they use, which is essentially the mold around which the shoe is constructed. They basically make a shoe that they think will fit an “average” foot, likely recognizing that it will not work for some. I’d love to see a company start making a single shoe in multiple last shapes – that would be a huge step forward! Have you tried the Kinvara in a wide version? Funny, I tend to think Saucony is a little too wide in the forefoot. I’ve been running in Saucony for about 3 years, and only the Fastwitch and Type A4/5 have been narrow enough in the forefoot. And I also wonder if Saucony is going to eventually reduce the ridiculous amount of cushioning in the Kinvara/Virrata lines. My feeling is that a little more proprioception could perhaps go a long way in improving form and reducing certain types of injury. What used to be regarded as a “minimalist” shoe is looking more like an overly-cushioned shoe meant for to transitioning to more proprioceptive/minimalist shoes. Just wished the sole was more on the realm of 9mm to 12mm tops, 18mm seems a bit to much. Try Altra shoes. They come with 2 types of footbed. One with arch support and one flat. 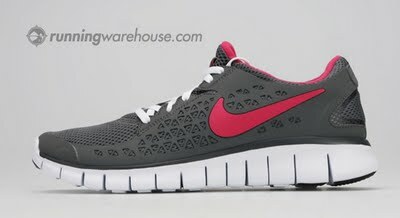 It would be interesting to see how this shoe compares to the Skechers Go Bionic. Very different shoes. Bionic is firmer, more flexible, wider forefoot. Virrata is more cushioned, more form fitting.